Hello and thanks for stopping by. I hope you will take this opportunity to purchase my new novel, Gift of the Grenadier. It's a powerful story that explores the devastating impacts of a war injury as they ripple through the family and friends of the book's protagonist. The characters are fictional but the trials they face, the terrible decisions they must make and the life-altering results are very real indeed. Every choice comes with a cost and in the end, each of us, fictional and real, must evaluate our past actions and balance them with our own need of redemption. My two previous books, A Chukar Hunter's Companion and Corvallis Reflections, are also available on this website. I appreciate your interest. Please share your thoughts and appraisals of my books with your friends and with me, if you like, by selecting the mail button below. Jared McCauley had everything going for him. After a near perfect childhood in a small Idaho town, he was married to the love of his life and on his way to a successful career in the United States Marine Corps. But an horrific, emasculating war injury destroyed Jared's confidence and shattered the foundation of his marriage, leaving him vulnerable to doubts and uncertainty previously alien to him. When his own weakness results in the tragic death of the young grandson of a New York crime family boss, grief and sadness are overwhelmed by rage and reprisal. The cascading effects of the child's death involve friends and family and lay bare the essence of human frailties, as betrayal, revenge and depravity hold sway. But human strengths are present too, in the form of courage, loyalty and sacrifice, as longtime friends come to help... and one comes to kill. 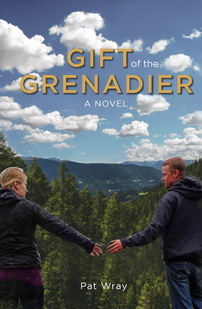 At its core, Gift of the Grenadier is an exploration of the cost of our actions and our universal hope for redemption. It asks the questions: how can I make up for the harm I've done? How can I balance the scale? Click here to purchase Gift of the Grenadier online. You may also order it by sending $20.00 plus $5 shipping and handling to Outdoor Insights, P.O. Box 513, Corvallis, OR 97339-0513. Corvallis Reflections is, at its heart, a celebration of a community and its people. But Wray's reflective lens looks forward also, and into the deepest realms of human nature. His ever-present good humor masks a willingness to explore, satirize and when necessary confront, people, organizations and ideas he considers inimical to the best interests of his beloved Corvallis, Oregon. In the finest tradition of American newspaper columnists, no subject is too small or too large to attract Wray's interest. He is as engaged in a call to clean up a county road as he is in promoting Oregon's Death with Dignity Act, as keen on a local boy making a splash on national television as he is in excoriating the Vice President of the United States. Wray's politics are suspect and uncertain. By his own admission he used to know a lot more than he does now. His perspective, while unique, is invariably entertaining and his focus tack sharp. Corvallis Reflections will make you smile and think and appreciate your life, family and community a little bit more than ever before. 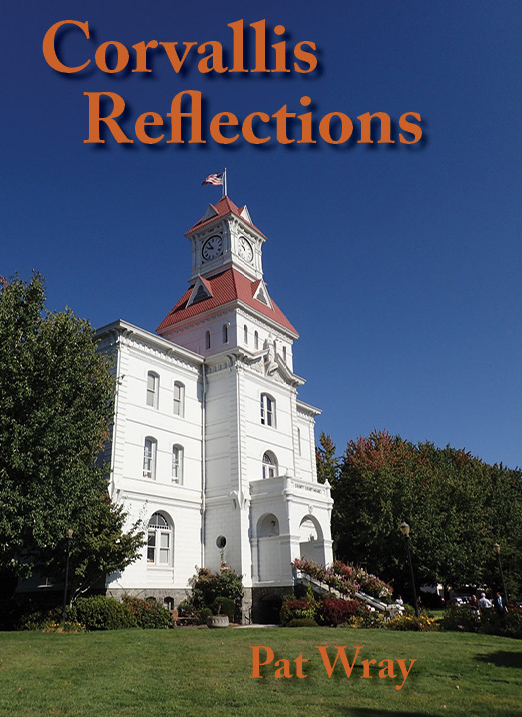 Click here to purchase Corvallis Reflections online. A Chukar Hunter's Companion lives up to its name. It's a companion you can count on for accurate information and fun. It's a friend who'll help get you ready for a successful hunting trip, then go along to help you enjoy it. At its core, Companion is a how-to book. It explores the entire process, from physical conditioning through the gear you'll need, and then the hunt itself. The hunt section is a comprehensive look at the entire process, from deciding on a location to caring for your birds. 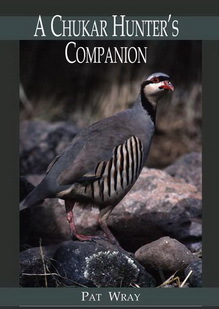 Companion also includes an exceptional section on dogs, including a chapter on hunting without dogs, a state-by-state hunting summary and a fine chapter of chukar recipes. Companion is much more than a simple how-to book. Pat Wray is a storyteller of the first order and his essays are alternately hilarious, heartwarming, thought provoking and deeply troubling. Readers will find themselves learning a great deal about chukar hunting and much, much more. 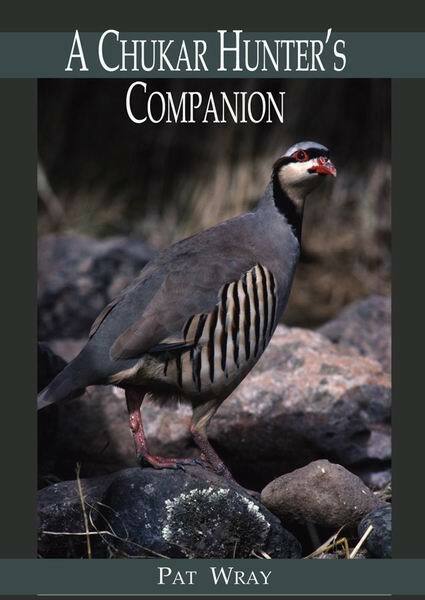 Wray's stories, essays and his uniquely humorous perspective on chukar hunting and life (which are not much different in his mind) raise A Chukar Hunter's Companion far above the normal hunting book fare. Pat Wray has the heart of a hunter, the gift of a writer and an unerring sense of story. His ever-present humor sparkles throughout the text. This is not just a hunter's book; it is a reader's pleasure. Click here to purchase A Chukar Hunter's Companion online. You may also order it by sending $21.95 plus $5 shipping and handling to Outdoor Insights, P.O. Box 513, Corvallis, OR 97339-0513.
patwray.com is an Online Service Company production.